Feeling a heartburn after having a large meal is very common. You could have an indigestion or an acid reflux due to having fatty or spicy foods, being overweight, smoking, during pregnancy, when stressed out or anxious, taking anti- inflammatory painkillers, or being a patient of hiatus hernia. Some other symptoms include having a bitter taste, trouble when swallowing, pain in the stomach, or a dry cough. Doctors usually recommend to have antacids that help in neutralizing acid in the stomach. Cheetay has a variety of antacids in different forms for adults and children. These consist of powders, sachets, suspensions, syrups and tablets. 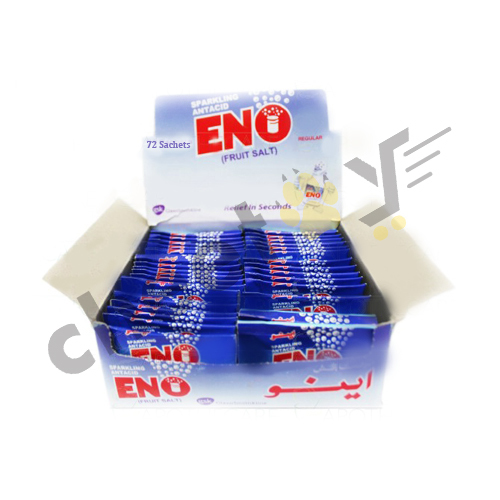 When buying antacids online at Cheetay.pk, look not only at affordable prices but also for ingredients such as aluminum hydroxide, magnesium trisilicate, magnesium hydroxide, calcium carbonate, sodium bicarbonate and magnesium carbonate. Many brands such as Graviscon, Eno, Trisil and Mucaine already have either one or a combination of them. The powder forms are a little different as they have citric acid and tartaric acid added to them as well. But not all of these forms or ingredients are suitable for everyone. In case you are on a low sodium diet, are taking in calcium, or have kidney disease, blood pressure issues, or a heart disease, you should get only use antacids when advised by a doctor. You should also be careful when taking certain types of antacids as those that contain magnesium can cause diarrhea. Similarly, those with calcium or aluminum can get you constipated and sometimes lose a lot of calcium. Antacids do not cure serious problems such as stomach ulcers, gallstones, bowel problems or appendicitis. However, they do give fast relief when acid reflux is mild or isolated. Even though antacids are should be taken according to the doctor’s prescription, they best way to get fast relief is to take it immediately after or during a meal. If you take antacids daily, make sure to not have these medicines for a prolonged time span. If antacids do not seem to have any effect, then you could have gastro ailments and would need a doctor’s advice for it. Infants and children could experience symptoms such as chest pain, coughing, painful swallowing, sore throat, vomiting and fussiness. For them the most suitable are antacid suspension or chewable tablets. These should be kosher or gluten free so that in case there is a person who is lactose intolerant can use them as well. Also they should be under constant supervision of a doctor so they do not have an overdose. Antacids at Cheetay are for all. You can buy antacids online at any time and get them delivered anywhere you desire. If you want to get a medicine that is on available at the online Cheetay store, then just specify what you are in need of and our riders will get it for you! Do not hesitate to buy online as we guarantee to get all products straight from the vendors.